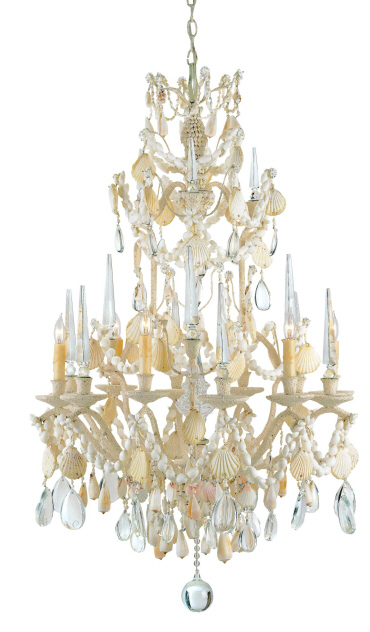 Buttermere Small Chandelier is truly for the exceptional coastal home and measures 28" in diameter by 46" in height. This lovely chandelier is a glorious combination of seashells and crystal. This unique combination of natural materials and its height make it a striking presence in large open spaces. It is also available in a larger (really!) size...the Lake Buttermere Grande. Call for availability. Ships in 1-2 weeks.